The online version of this article ( https://doi.org/10.1186/s12931-019-1024-z) contains supplementary material, which is available to authorized users. Chronic obstructive pulmonary disease (COPD) is a highly prevalent, non-curable, life-threatening disease, characterised by irreversible changes in lung structures [1, 2, 3]. Pulmonary vascular abnormalities, as shown by alterations in vessel structure, abnormal cell growth, endothelial dysfunction and resistance to apoptosis, are characteristic features in COPD [4, 5]. An altered pulmonary vascular function in COPD patients may predispose to pulmonary hypertension, which is associated with adverse outcomes . 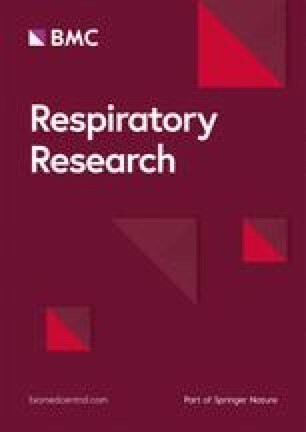 Growing evidence suggests that endothelial cell damage found in pulmonary vessels of COPD patients is an initial and important triggering factor that promotes pulmonary vascular remodelling . It has been shown that COPD patients present endothelial dysfunction in both pulmonary and systemic arteries at early disease stages [7, 8, 9]. This endothelial damage may result from an imbalance between vascular injury and the body’s repair capacity . Reduced number and function of circulating PCs has been established as an independent prognostic factor associated with endothelial dysfunction, high cardiovascular risk and increased mortality [14, 15, 16]. In COPD, few studies to date have investigated the number of circulating PCs [10, 12, 17]. We and others have previously shown reduced levels of circulating PCs in COPD patients, as compared to controls [10, 12, 17]. To date, two different mechanisms have been suggested to explain the reduced number of circulating PCs seen in COPD, an impairment of the bone marrow to generate enough circulating PC numbers and/or an increased PC recruitment in pulmonary vessels in response to tissue injury. Accordingly, in this study we aimed to quantify in the same individuals both circulating PCs and bone marrow-derived cells localized in pulmonary arteries, as well as their association to pulmonary artery remodelling, and systemic and pulmonary artery functionality.